Does poti wang accomplish the same as lung? 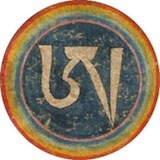 To be more specific, some time ago I received some Düdjom Tersar empowerments, but either I didn’t know enough back then to recognize the lung being given as well, or maybe it wasn’t? Years later I received the Düdjom Tersar poti wang, so I’m wondering if this is equivalent functionally to receiving the reading transmissions for the Tersar empowerments I received. IOW, will the poti wang make the mantras function for me just like the lung would have? Re: Does poti wang accomplish the same as lung? What is a poti wang?!? When a lama bumps a text on your head, or there is a table full of tons of texts and you bump your head against it. It's basically a book empowerment. The terms po ti (པོ་ཏི་) and dpe cha (དཔེ་ཆ་) are basically synonymous (both meaning "book, text"). So wouldn't po ti dbang (པོ་ཏི་དབང་) be the same as pe'i dbang (དཔེའི་དབང་)? I'd love to hear from someone about the tantric theory these are based on, and if there are any distinctions between the two. What are the features of these, and in what contexts are they usually given? For instance, is such a silent text empowerment given when a public reading transmission is not suitable for all those in attendance? Is it bestowed this way when permission to practice the sadhana has only been requested by a few and not by the whole assembly, prompting the lama to only grant it to those serious enough to ask? According to Chökyi Nyima Rinpoche; "poti wang" gives you the same transmission as "lung" but you can't pass it on to someone else.